All are up for demo. They would have looked nicer in the pool. Your certainly wouldn't loose them in one of those green bags. ! 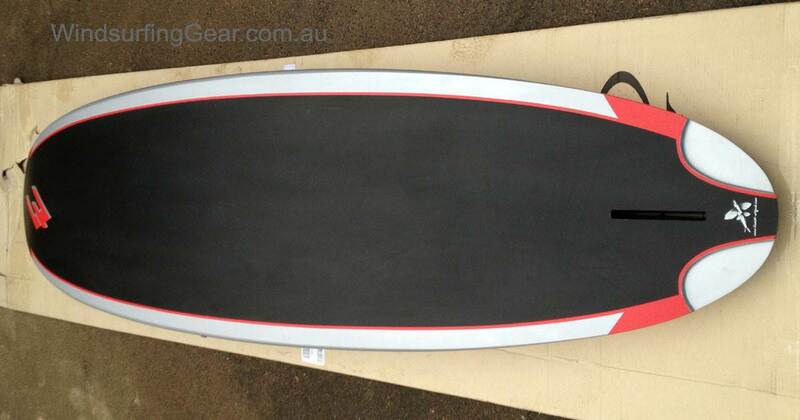 Remi, any initial impressions on the red backs, how do they sail and compare to previous models? Are the Dakine straps standard issue? 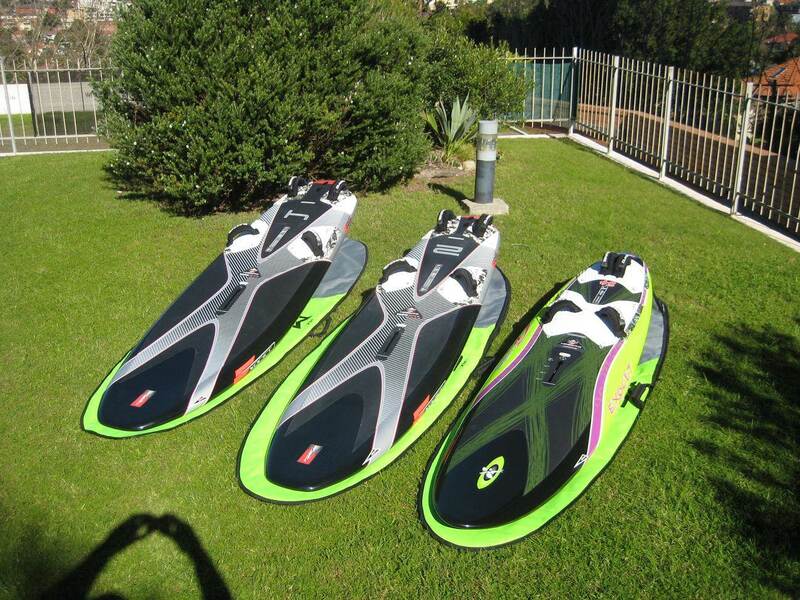 The boards are sold with Exocet footstraps. 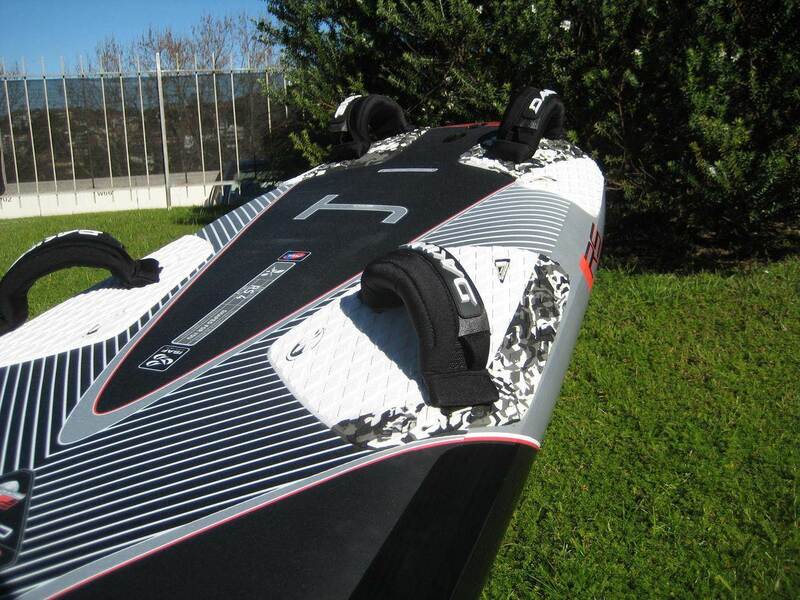 We are using used Dakine to sell the demo boards with a set of new Exocet footstraps. The boards look fast . They would have a quicker acceleration than previous models with the combination of thicker rails and smaller OFO for top speed. Patrice has certainly demonstared this during the Defi Wind with speeds in excess of 43 kts and 45 kts for the RS3 and RS2 respectivelly. At least the grass is not covered in snow You might the first to have a go on the RS2 looking at the forecast. Saw Byrons new ones today !!!! Looked even better than in the photos . 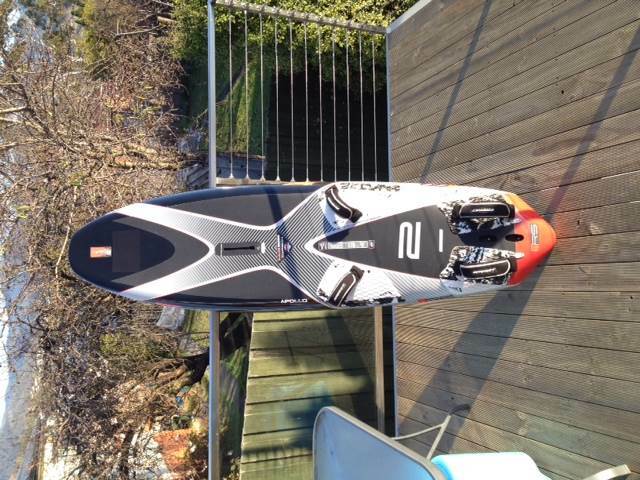 I love the look of my new RS2 and RS4 can not wait to use them but at this stage I will be waiting a whilst as NO wind on the horizon. 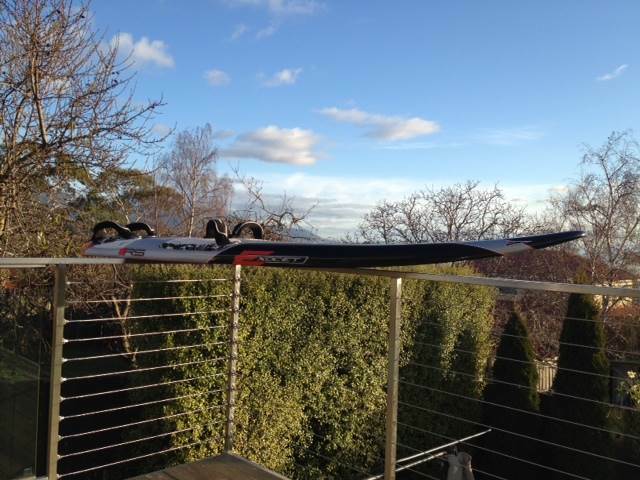 Keep us posted Russ looks like you have the best chance of wind in Tassie. All I need now is to sell my other RS2. I will do a review as soon as I get a chance for sure. If RS2 is anything like the RS SPEED then it will be fantastic. 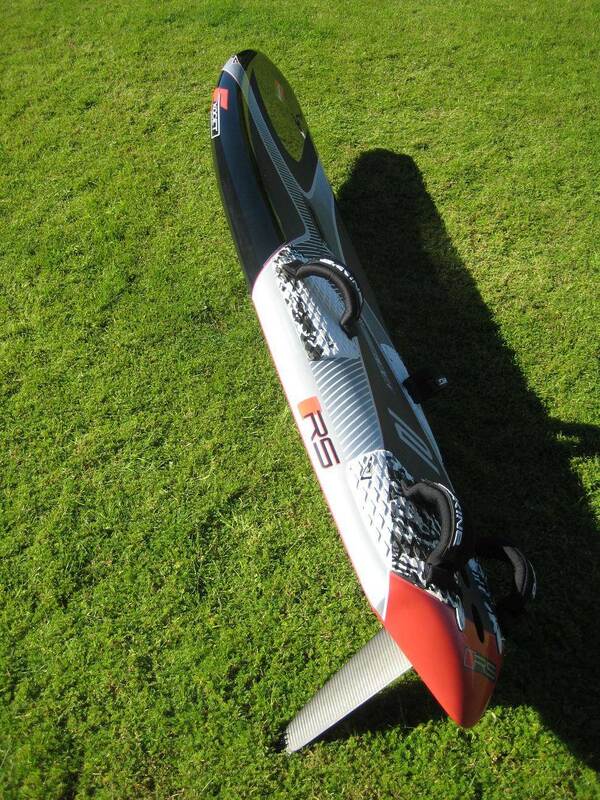 I have had the Naish SP LTD 95 for a long time and love that board so the RS2 will be interesting in our high wind rough water spots. 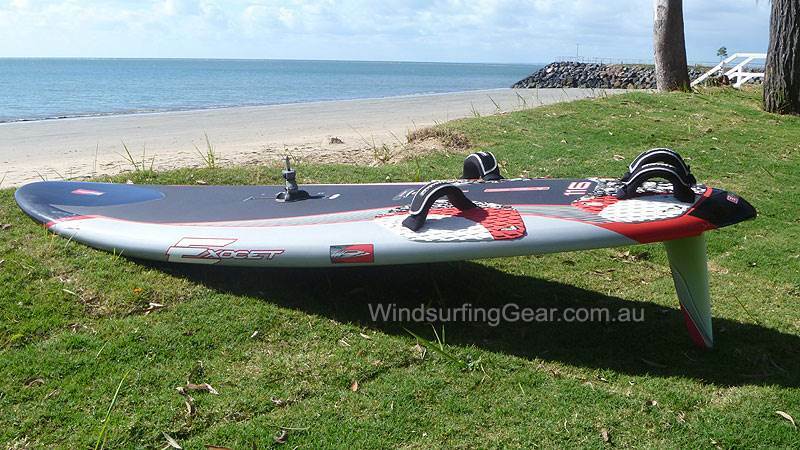 I will give it some stick off the wind a see how it runs not sure I will reach Patrice speeds in rough water any time soon This is the board that gets 80% of my windsurfing use in Tassie so It is going to be interesting getting the feel for the RED BACK!!!! 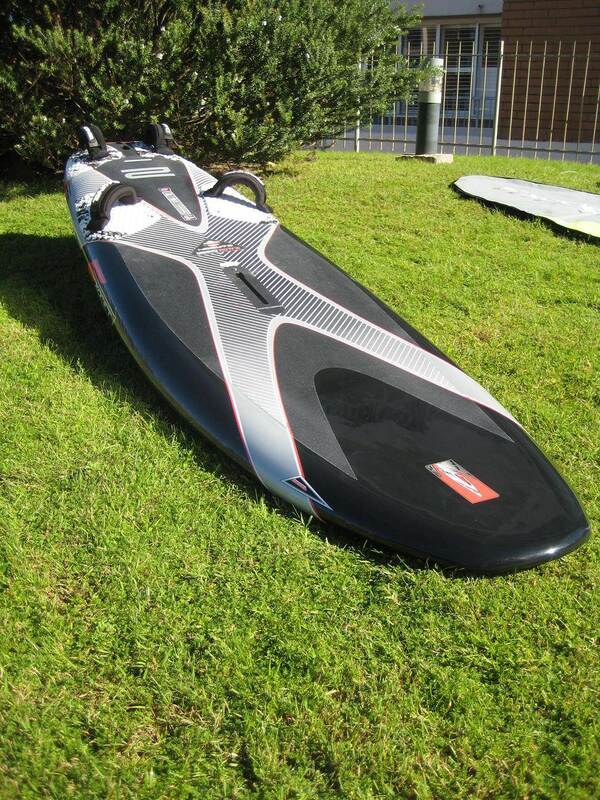 The slaloms look nice,not sure about a black board on a wa beach tho.. Think I want one of these gadgets! 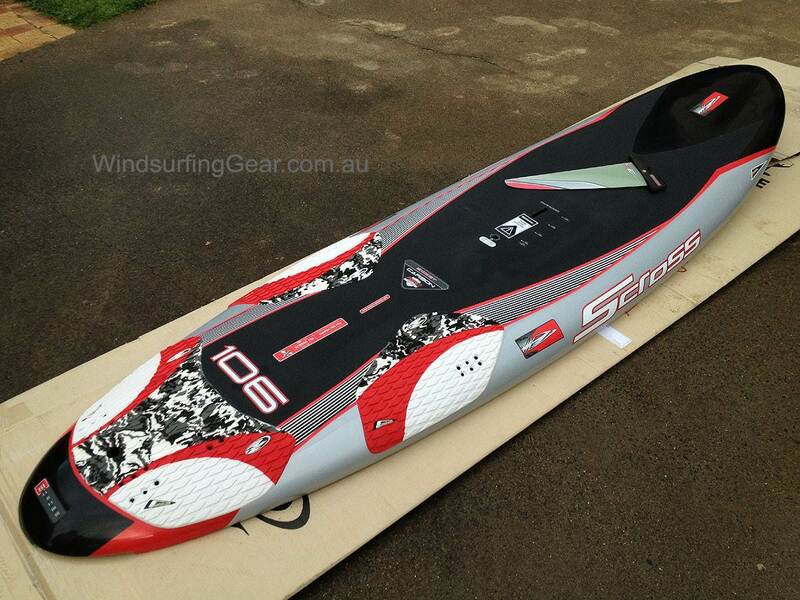 Is there any chance of doing a Australian version of the RS speed competition open to all Exocet boards. Like the RS SPEED competition in Europe. I am sure Patrice would donate a prize and we could run it via the windsurfing shed web site. It would be good way to keep tabs on RS red back peak speeds across Australia and follow other Exocet riders enjoying the boards. We can get these D2s in, just let us know. We are looking into it. We'll see if we can get this running by next summer. 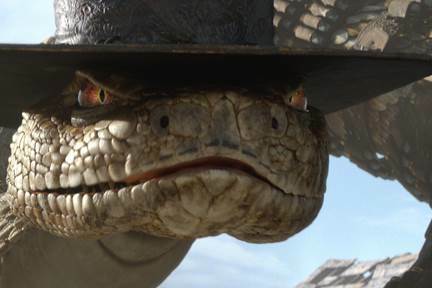 I am more than happy to help coordinate it if you need? No holding back now GO E team!! 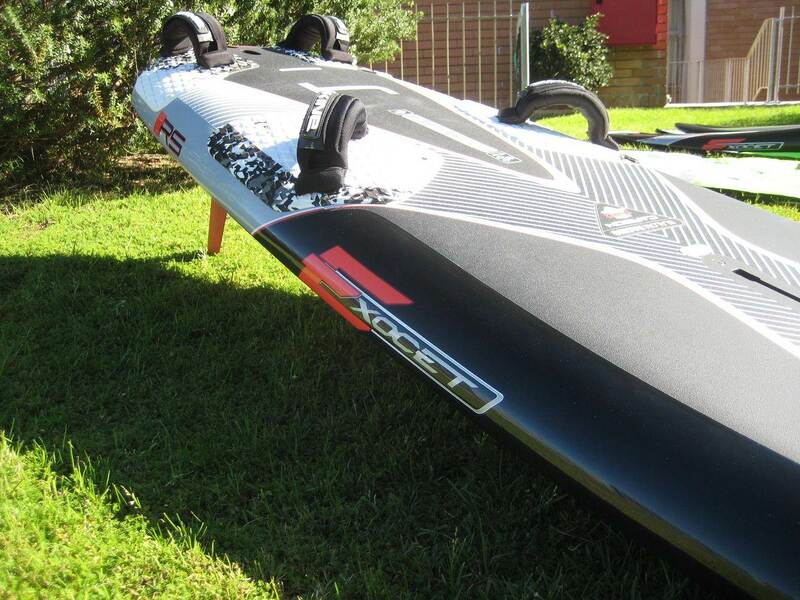 2014 Exocet S-Cross Carbon arrived today. A couple of pics below. Not enough wind here for a test drive today. I am looking forward to seeing the numbers on the new boards. 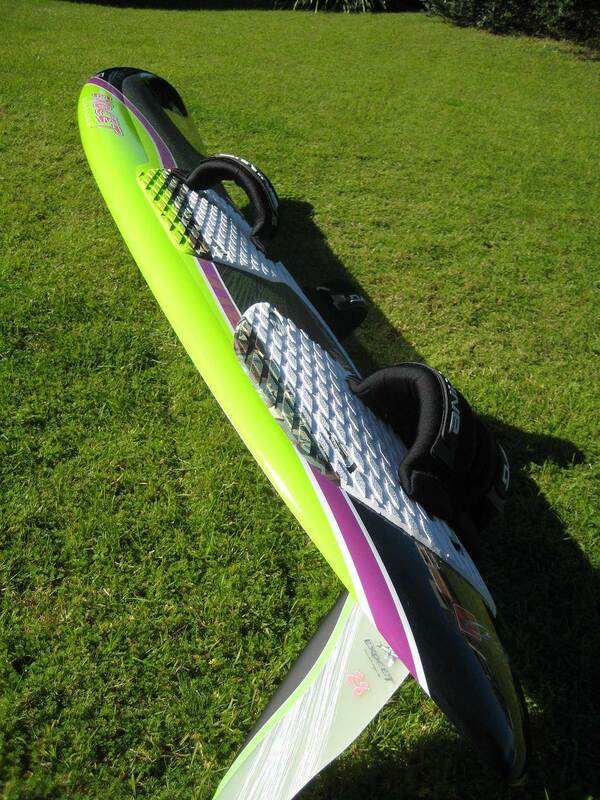 I am sure I will never do 45 knots on a slalom board that's just insane. Love to be involved in a speed competition. 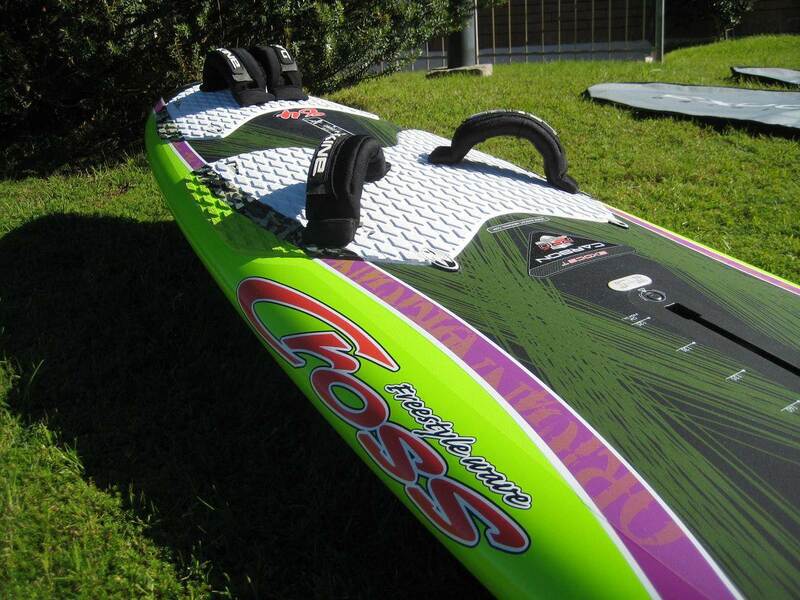 Tried out the 2014 Exocet Scross Carbon 116 today at Shelly Beach (pic below). 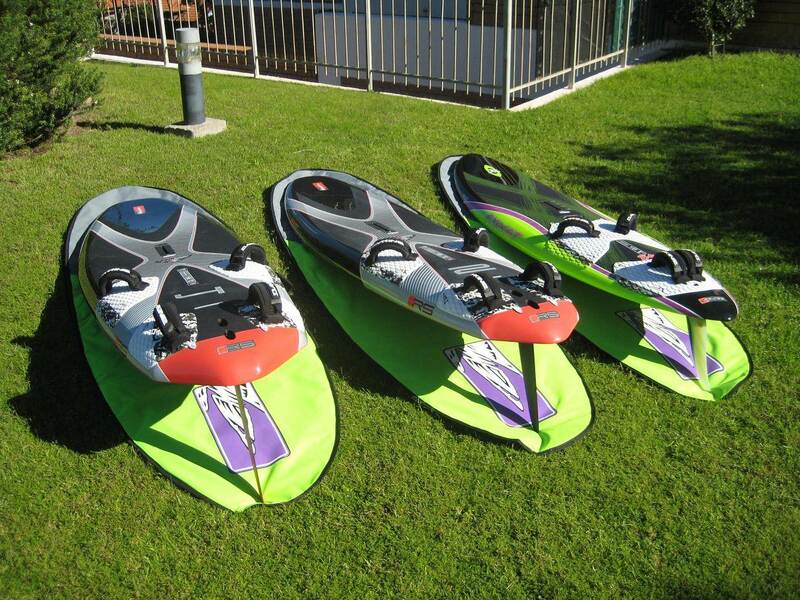 The 116 litre Scross comes with a 40cm G10 "slalom-style" fin. 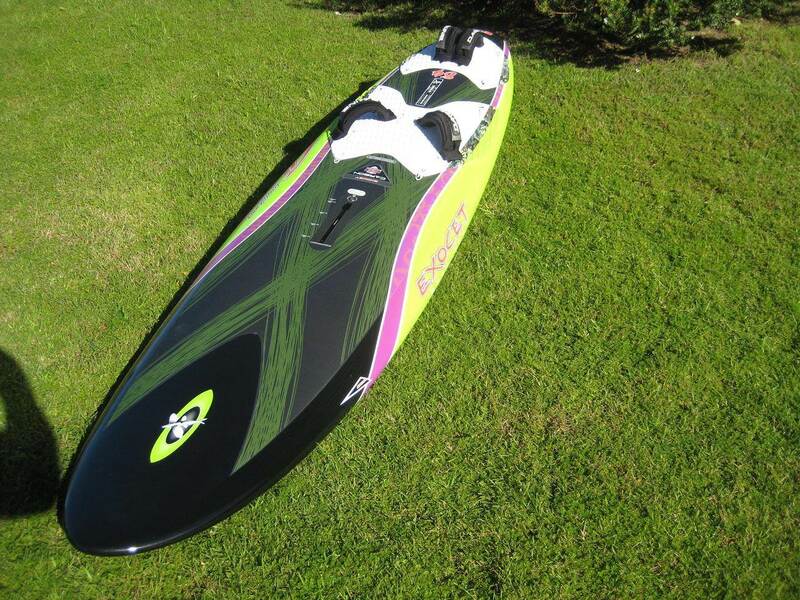 The board is 242cm long x 68cm wide. 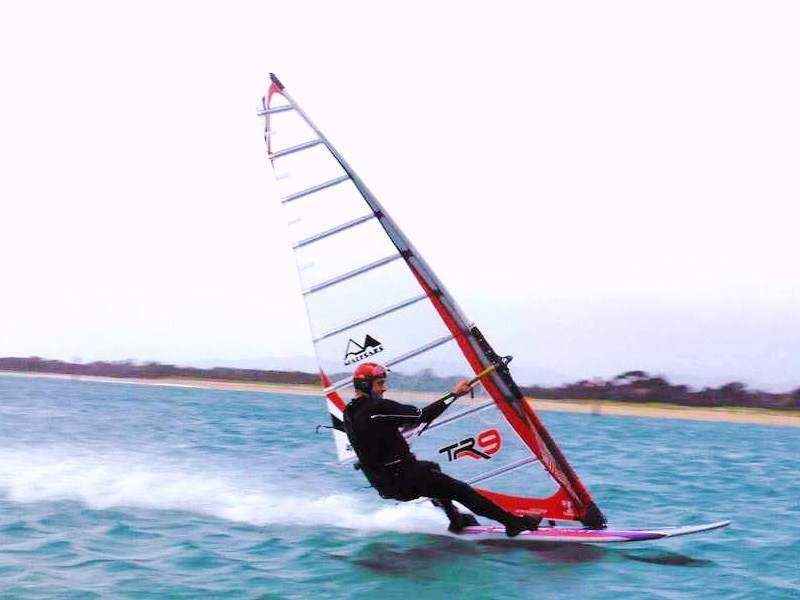 Conditions were light with inconsistent gusts and random chop. 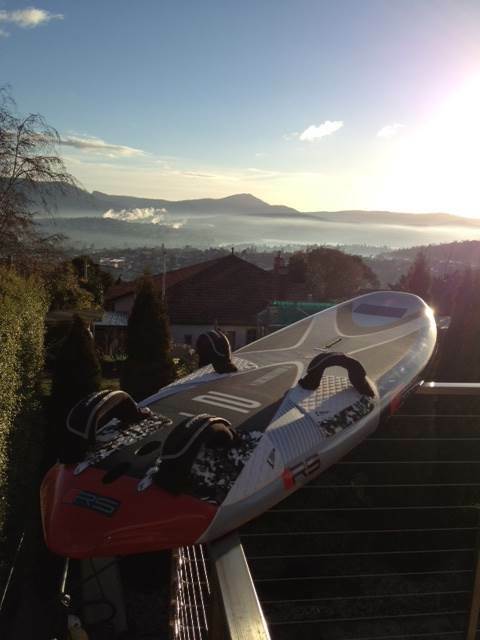 I rigged a 7.5 Ezzy Lion for this first test ride. The board felt really light under foot on the plane and the foot-straps were really comfy. I later compared the footstraps to a 2013 model Exocet CrossIV and the new footstraps felt significantly softer and less rigid. 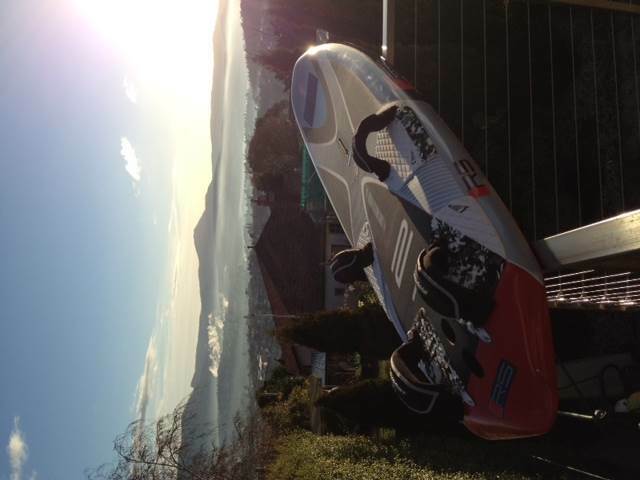 The ride was noticeable smooth for a carbon board. Small waves weren't a problem when breaking side-on over the rails. The board felt quick in a straight line. Conditions weren't good for planing gybes, but the board was stable during low-speed gybes and especially so (for the volume) when chugging in and out from the beach through the wind shadow. 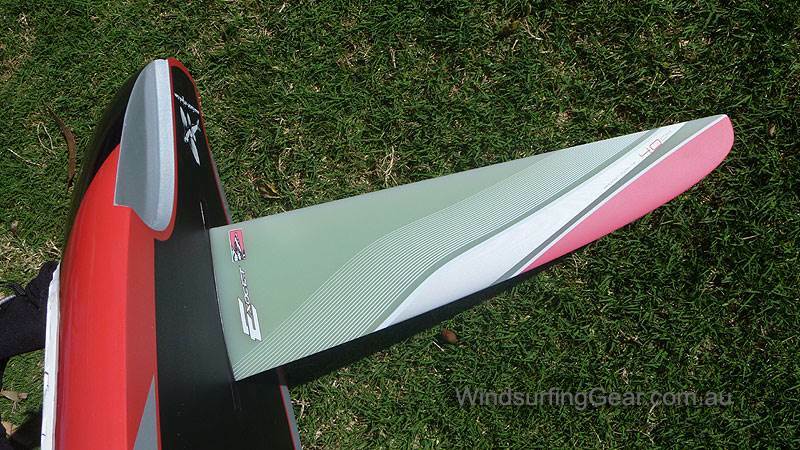 The fin worked well with the 7.5 sail and never felt like slipping in the choppy conditions out wide. I'd reckon the stock standard 40cm fin could hold on up to 8.0. I'd definitely use a smaller fin for sails under 7.0. 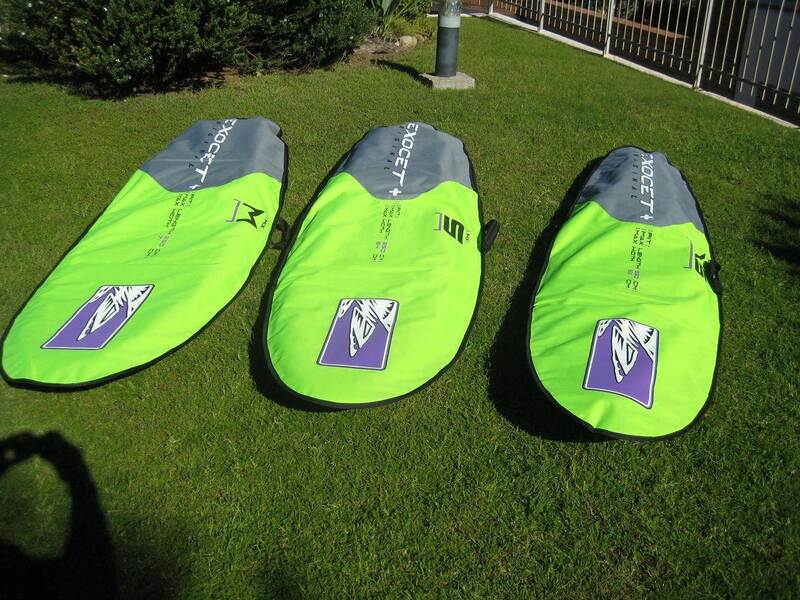 The board has small cut-outs on the tail (see pic below). Overall, I'm very pleased with the ride and speed of the board. I'd recommend it for anyone who is looking for something quick, comfortable and general purpose. 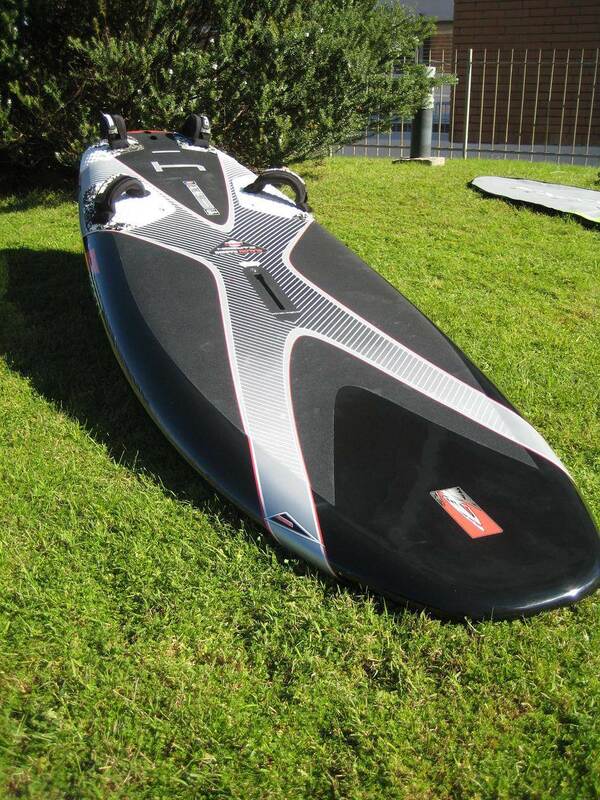 Damaged in freight on the deck, not major but frustrating e.go do not look after sailboards in freight or care!!! always annoying when a new toy is damaged even before being tried !! keen to read the sailing report !! The board felt really light under foot on the plane and the foot-straps were really comfy. good to hear they've improved the straps as not everyone has feet made of steel! 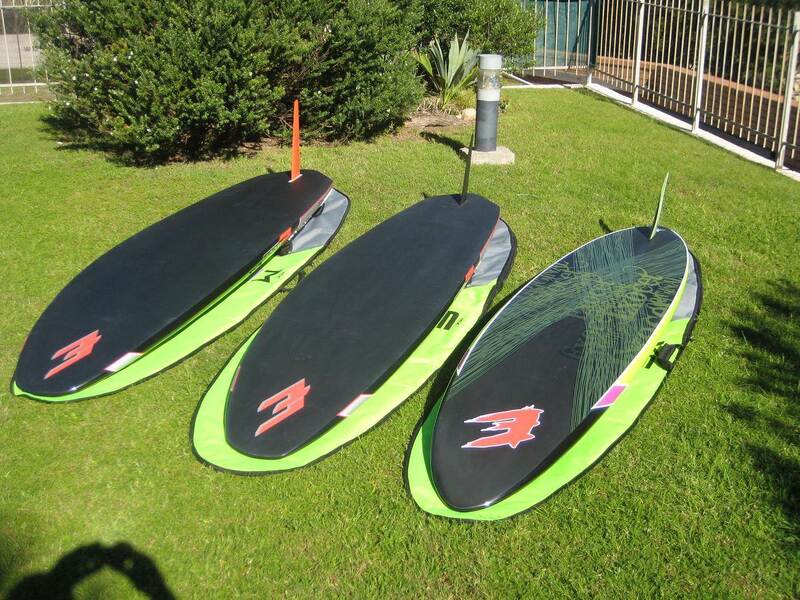 @ tassierocks - keen to hear what sail sizes you use with board, and if its not a personal question, what is your weight? My weight is 95kg and I am 6'3"